It can be up or down. It’s more fun when it’s up, but it makes it hard to get any real work done. In the long-distant past, its only purpose was to transmit.information considered vital to the survival of the species. Some people still think that’s the only thing it should be used for, but most folks today use it for fun most of the time. It provides a way to interact with other people. Some people take this interaction very seriously, others treat it as a lark. Sometimes it’s hard to tell what kind of person you’re dealing with until it’s too late. If you don’t apply the appropriate protective measures, it can spread viruses. It has no brain of its own. Instead, it uses yours. If you use it too much, you’ll find it becomes more and more difficult to think coherently. We attach an importance to it that is far greater than its actual size and influence warrant. If you’re not careful what you do with it, it can get you in big trouble. Some folks have it, some don’t. Those who have it would be devastated if it were ever cut off. They think that those who don’t have it are somehow inferior. They think it gives them power. They are wrong. Those who don’t have it may agree that it’s a nifty toy, but think it’s not worth the fuss that those who do have it make about it. Still, many of those who don’t have it would like to try it. Once you’ve started playing with it, it’s hard to stop. Some people would just play with it all day if they didn’t have work to.do. This entry was posted on November 23, 2007 at 10:48 am	and is filed under fun, Humor. Tagged: fun, Humor, Internet. You can follow any responses to this entry through the RSS 2.0 feed. You can leave a response, or trackback from your own site. Deborah – LOL, thought the ‘flash’ would just add a bit to the tale, and the pic at the end is brilliant. Some of the guys aren’t too happy about secrets being revealed but hey….who cares hahaha. LOL! what a revelation! are you sure it was a good thing divulging those secrets hahaha. Nice one! That’s hysterical! 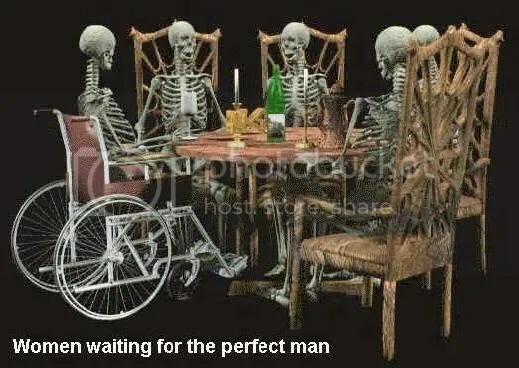 Silly women….They should read the post above it to understand the nature of male perfection! I will check out #1 and #2 looks like they slipped through the filters. Hi Colin! Just so you know, comment# 1&2 are examples of scraper sites. Look at them! This is your content being stolen to propel an automated site so they can make money from their adsense ads. I bet both sites have the same IP. I will add you to my blogroll too, thank you for the add. Thanks for your comment on my humble blog. I feel honored for that. By the way, I’ve added your blog to my blogroll. Hope you have a nice weekend. Btw, I tagged u with a new meme, hope u’re having a good weekend. You are divulging man secrets? We all know that the perfect man does not exist, but your not supposed to let that secret out!! Hillary Clinton may just be one of those ladies in waiting…who knows lol, especially given her husbands previous encounters!! Hey Colin, what a treat to read! You said it ever so succinctly. It’s like anything else which we have at our disposal it needs to be use with thoughtful measure, and approached with cautious optimism. Unfortunately, the ladies in wait for the perfect man may be analogous to Hillary Clinton waiting to be elected! A few could only hope. LOL! haha very funny! 😆 true though! We have to have a bit of fun somewhere and the pic seems to be popular hahahaha. I see you have managed to incorporate Flash into a blog post too! Came here via Santa’s blog. The photograph is hysterical and scarier in more ways than one. Diane – I’m quite sure that many women will appreciate the last photo hahahaha……humor rules!! I’m still a relatively new blogger as this blog is only 5 months old and my Free PC Security blog is 8 months! It’s all good fun though and I have met so many amazing people which makes it more than worthwhile. Haha! Very good! Especially like the last photograph!